Caffeine is a natural stimulant found in tea, coffee and cocoa. These plants grow in the tropics or sub-tropics and use caffeine as a natural pesticide to kill insects — fortunately this is not the outcome for most human consumers of tea, coffee and cocoa. Caffeine is also added to sweetened energy drinks and a wide range of pain relief and gym workout supplements. There have been mixed reports on how caffeine affects health. This is due to the research study design (type and amount of caffeine and other lifestyle and health factors studied), as well as genetic differences between people. Caffeine is metabolised (broken down) by the liver. It would take about 40 hours to completely metabolise 200mg of caffeine, however we only feel the affects of caffeine for about 4–6 hours after consumption. The reported positive and negative affects of caffeine from research studies are often by association, not causation. This is why researchers are unable to say “drinking coffee will decrease your risk of diabetes”. This can be frustrating because all you want to know is should I drink more or less coffee! Putting such frustration and confusion aside, it is important to understand that research in any field rarely makes a ‘big discovery’ that proves or disproves a relationship in health. Our knowledge about how food and nutrients and components of food grows incrementally. And my advice is assess your own health requirements and be mindful of how caffeinated foods and beverages affect you. There is currently no Australian or internationally recognised recommended daily intake level for caffeine. However, increased anxiety levels have been found in children consuming 95mg caffeine per day and in adults at levels of 210mg/day. The American College of Obstetricians and Gynecologists advise pregnant women to have less than 200mg of caffeine per day. The caffeine content of common drinks and foods are tabled below. What is the verdict on drinking coffee and health? Possible benefits: decrease the risk for premature death, developing type 2 diabetes, liver cancer and some types of prostate cancer. Possible harm: increase the risk for developing lung cancer and high blood pressure. As mentioned above, there are genetic differences between individuals in how they metabolise caffeine. It is proposed that fast metabolisers of caffeine may experience health benefits from the naturally occurring antioxidants in coffee, if they keep their coffee consumption to less than 2–3 cups per day. This potentially explains why research studies conducted in different populations have produced conflicting results about the impacts of coffee on health. Due to the varying affects of roasting coffee on antioxidant levels, drinking coffee is not recommended as your main source of antioxidants. Coloured fruits and vegetables offer a wide range of antioxidants and provide a number of health benefits. There is still more for us to learn about the health affects of drinking coffee. I suggest a lower consumption of coffee — no more than one per day — especially if you have high blood pressure or you are using coffee to boost your energy levels. Tricking your body into feeling more alert is not a long-term solution for your health and wellbeing. If you are interested in knowing whether you are a fast or slow metaboliser of caffeine have your genes tested for caffeine metabolism. The test is very simple and involves a mouth swab. 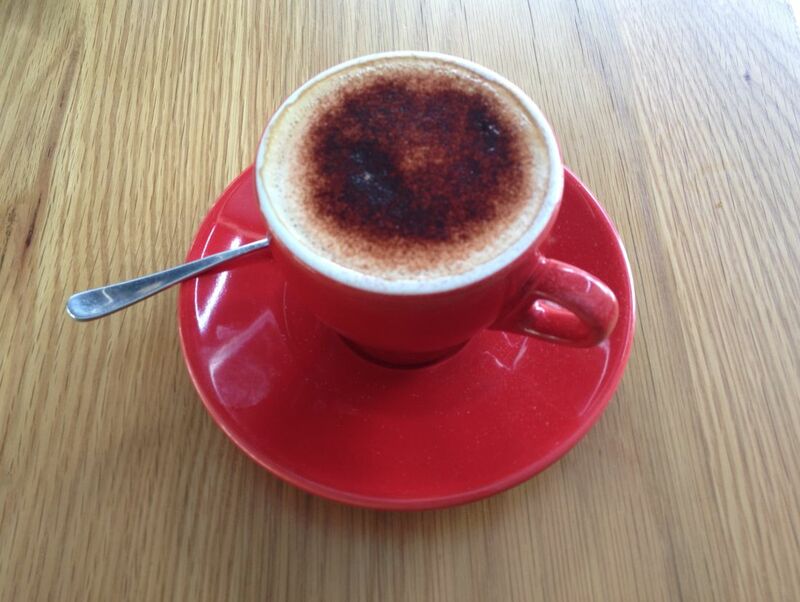 The addition of caffeine to drinks is currently being reviewed in Australia. There have been cases of caffeine toxicity from consuming caffeinated energy drinks. The reported side effects include heart palpitations, extreme anxiety and restlessness, tremors and shaking. There have also been deaths caused by the overconsumption of these drinks. I do not recommend the consumption of caffeinated energy drinks. The Eastern view of caffeine is that it shouldn’t be consumed on a daily basis. Ayurveda and Traditional Chinese Medicine (TCM) describe that we are born with a reserve of life force energy (Qi), and through our lifestyle choices we either enhance or deplete this reserve. 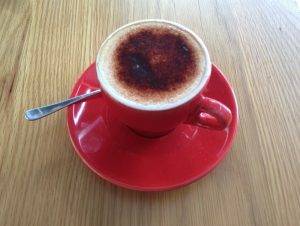 Caffeine, whilst being a stimulant, appears to provide us with additional energy, but the processes required to metabolise caffeine deplete our reserves of Qi. This leads to initial feelings of lethargy and longer-term health problems related to deficient Qi, for example drinking coffee is believed to deplete kidney function and interfere with the female reproductive system. I suggest that you monitor the affects of caffeinated foods and beverages on your mental and physical health. If you currently enjoy a morning cup of coffee, with no side effects, then continue to do so. Tea also contains caffeine and I will be exploring the health benefits of drinking tea in an upcoming post. Great article Sallyanne. I think I forget sometimes that everything going into my mouth has a side effect on the body, sometimes good… sometimes bad! Having a coffee or three each day is commonplace in the western world. Maybe we should re-evaluate. Yes, so true Ben. I recommend that people become more mindful of how their food choices affect them — we are best placed to know what suits us. Hi Sallyanne interesting read prefer drinking tea with one coffee a day but do load up on coffee when doing night duty helps to keep you alert. Yes Vicki, Coffee is known for keeping people awake. As long as you can return to your usual night time sleeping routine after you have completed your night shift roster, then coffee is not interrupting your quality of sleep in the long term. We will be exploring tea-drinking in an upcoming post. Tea offers many health benefits.